Ashok Tewari, a 1993 batch IPS officer had received a two-month extension in the agency ending March 31. A day before an application filed by BJP leader Subramanian Swamy against the “shifting” of two senior CBI officers investigating the 2G spectrum scam cases is slated to be heard by the Supreme Court, one of the officers — Joint Director Ashok Tewari — was relieved from the CBI. Tewari, a 1993 batch IPS officer from the Himachal Pradesh cadre, had received a two-month extension in the agency ending March 31. Earlier, as per a DoPT order dated January 19, his deputation tenure in the CBI’s Delhi Zone had been extended till January 31 or till a decision was taken in this regard by the CBI Selection Committee in its regular meeting, whichever came first. On February 4, the day CBI Director Anil Sinha was summoned by Home Minister Rajnath Singh seeking clarity on an alleged attempt by Home Secretary Anil Goswami to stall former Union minister Matang Sinh’s arrest in the Saradha scam probe, Tewari was one of seven joint directors reshuffled within the CBI. Tewari, who was handling the CBI’s Delhi Zone was reassigned to head the agency’s Multi-Disciplinary Monitoring Agency (MDMA) that monitors, coordinates and probes issues arising out of the memorandum of Action Taken and Final Reports of the Jain Commission of Inquiry relating to the assassination of former Prime Minister Rajiv Gandhi. The CBI’s Delhi Zone (ACB-Delhi, ACB-Jaipur, ACB-Jodhpur) was given to joint director Anurag Garg, who was earlier handling Administration and Training. The CBI had said the reshuffle had “been on the cards” and was not connected to the Matang Sinh arrest controversy. 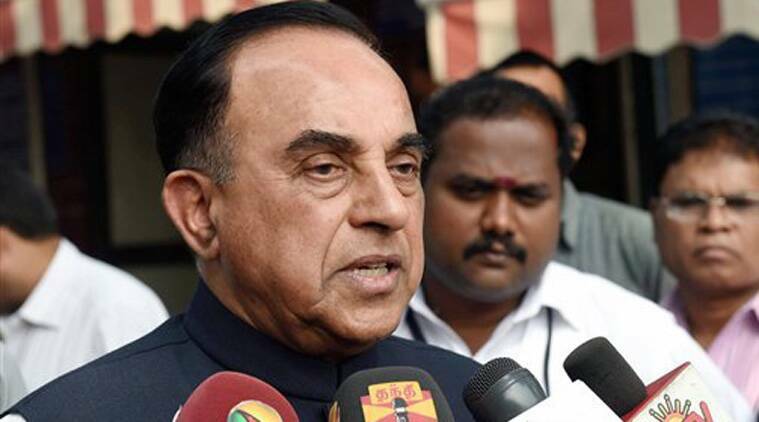 Swamy has contended that transfer or reversion of officers involved in the investigation of the 2G spectrum scam and coal block allocation cases was against the Supreme Court’s direction not to disturb them until the trial was complete. Both the probes are being monitored by the Supreme Court.